Veganizing Kid Food | Awesome. Vegan. Rad. food for lovers. of food. I did manage to actually make myself dinner this evening, but it was a mad dash in between teaching and going to yoga, so I only ate a portion out of some tupperware…in my car. Needless to say, I will take photos of it tomorrow and talk about it then! Instead, I’m going to show you a version of what I ate for dinner all last week. Yes, pinwheels. Or trashy sushi, whichever. I’ve been calling it both. 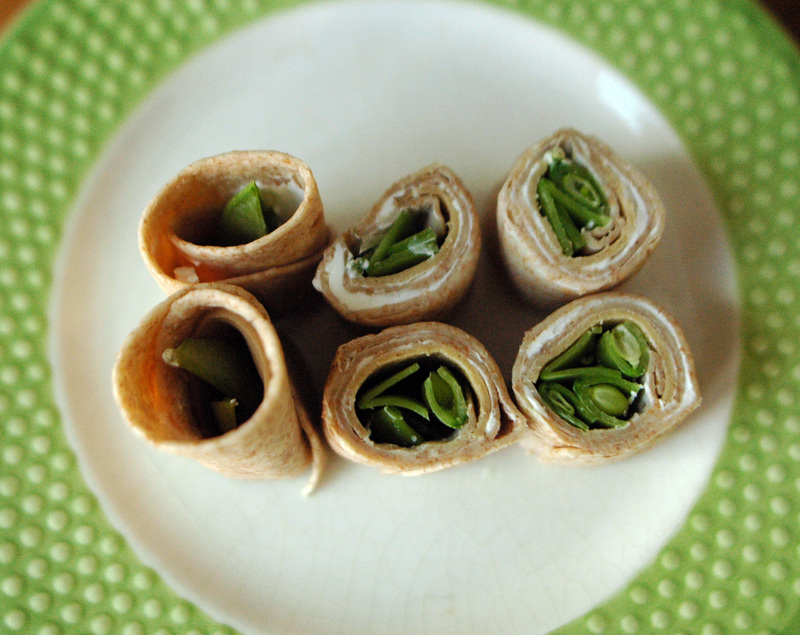 Start with a whole wheat tortilla (I found some that are actually really flexible, so they’re good for rolling), schmear with Tofutti cream cheese, layer with Lightlife turkey slices, then slice up some snow peas (last week’s had carrots, too, but I was out of those last night). And uh, roll. Then slice! You get little bite sized morsels that didn’t require any heat, and include a whole grain, protein, and veggies. Not bad, really. Actually, they’re really pretty good. The cream cheese makes them creamy (if you’re feeling healthier and more industrious, smooshed avocado would work well here); the turkey slices add a chewy, salty factor; and the fresh veggies give it a sweet crunch! I could do worse for being lazy and exhausted. Bonus: since they don’t require a ton of ingredients, a package of tortillas, the cream cheese, a pack of deli slices, and some fresh veg should make several roll-ups. I wasn’t exaggerating when I said I ate these for dinner every night last week. What do you make when you absolutely can’t stand to cook, are sick of eating out, and are feeling ultimately lazy? Thanks for sharing this. I have the sprouted wheat tortillas, which aren’t as easy to roll, but when you warm them up, it makes it easier. 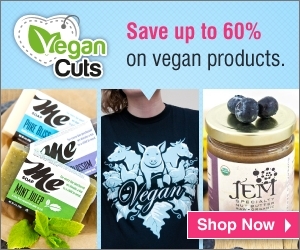 I wish your theme for VeganMoFo was vegan kids food. I need more finger food lunch ideas! You’re welcome! I’m sure that over the course of the month I’ll be sharing more ideas like this. Plus, since it’s my job now, I’ll be sharing them allatimes, not just at Mofo! Those sound really yummy! I might have to make those for lunch tomorrow. Thanks! I used to make something similar to these for my sons when they took their lunch to school. I’m so glad you posted this and reminded me about them. I need to get these back into the lunch rotation. Those look totally yummy! I’d eat ’em for sure! My go-to lazy meal is probably pasta with jarred tomato sauce (marinara as y’all call it!) and grated vegan cheese. Super quick and easy and I am ALWAYS in the mood for pasta! rarely updated or defunct, but still good resources! They ‘like’ me! They really ‘like’ me!